Description - Shaw Feedback residential carpet tiles come in a modern, contemporary design utilizing many colored fibers to make up each tiles overall color and design pattern. Each carpet tile also has an inlaid design that adds further uniqueness to each tile, allowing you to create a truly custom area rug or floor. These residential carpet tiles are very easy to install only needing double-sided tape for most installations or a pressure sensitive adhesive for permanent installations. 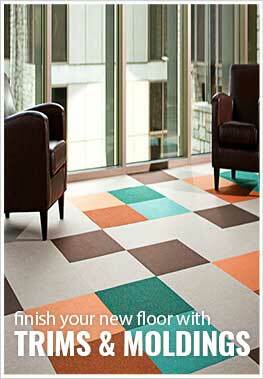 These modular carpet tiles are very durable and versatile and can be installed anywhere broadloom carpet can. Shaw Feedback tiles are also backed by a lifetime warranty and are much easier to install and maintain than broadloom carpet. Not only are these carpet tile squares built tough, they are also constructed with recycled nylon fibers and a PVC free backing making them a truly ‘Green’ product. Recommended Uses - Shaw Feedback carpet tiles have been used in both commercial and residential applications because of their durability, versatility and ease of installation. Because of these facts, carpet tiles are quickly replacing broadloom carpet and have been installed in nurseries, basements, kitchens, bedrooms, weight rooms, home gyms, garages, workout rooms, and elderly care rooms and many other areas. can the carpet be placed on a balcony without attaching it. ? This carpet tile is not approved for outdoor use.